Metaphase's 600kHz FASTRIG is the highest rate driver in the industry. By partnering with line scan camera manufacture's, our illuminators can be synchronized with the industry's fastest line scan cameras. The FASTRIG driver allows high-speed switching between either multiple wavelengths or illumination techniques at rates high enough to capture synchronized images on a scan-line per scan-line basis. 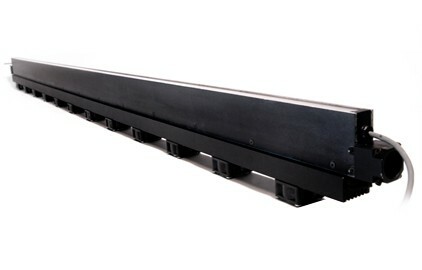 Typical applications of high-speed line scan multiplexing include combinations of front and back lighting or alternating between different wavelengths like infrared and visible. 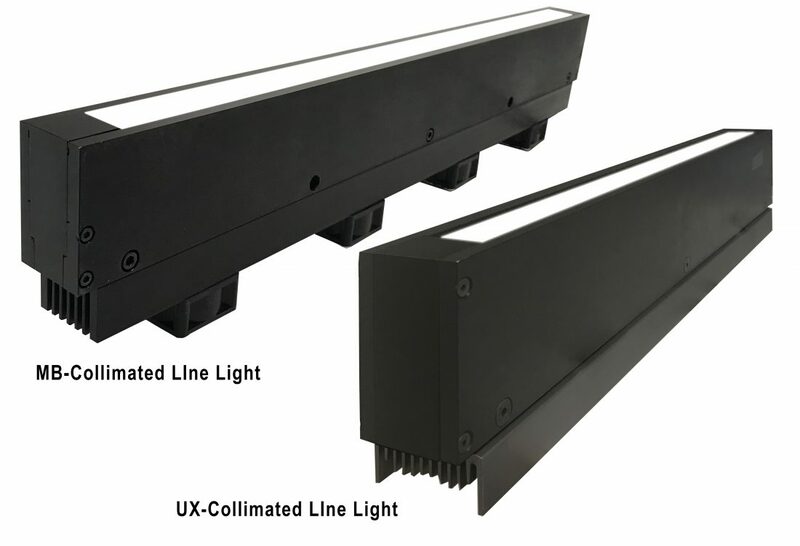 The UL Line Light is the latest design in the Metaphase family of LED lights for line scan. Its narrow, structured beam delivers high intensity and concentrated light for the narrow field of view of a traditional line scan camera. The high intensity and uniformity allows the UL Line Light to be used as front light to inspect for material defects, angled to obtain an off-axis effect to highlight surface defects, or it may be placed beneath the object for a backlight effect to inspect for holes, voids, or contaminants. 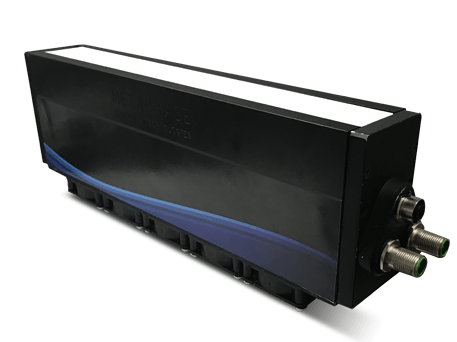 The MetaBright™ Line Light is another product in the Metaphase family of LED lights for line scan. Its narrow, structured beam delivers high intensity and concentrated light for a narrow field of view of a traditional line scan camera. 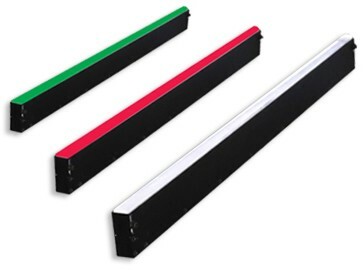 The high intensity and uniformity allows the MetaBright™ Line Light to be used as front light to inspect for material defects, angled to obtain an off-axis effect to highlight surface defects, or it may be placed beneath the object for a backlight effect to inspect for holes, voids, or contaminants. Using Metaphase's proprietary optics, the Collimated Line Light works similar to a traditional line light but can project its light at a lower divergence angle. This helps keep a tight, structured beam of light at longer working distance many meters away while delivering high intensity and works great for applications where you can't have the light close to the object or web. This is useful creating clearance for robotics, imaging high tunnel ceilings, to create distance from hot objects, or applications requiring extremely precise backlight imaging. 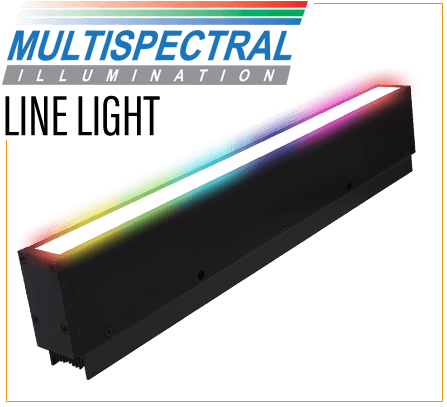 Metaphase is proud to introduce our next generation of breakthrough LED illumination for the machine vision market with the latest addition to our family of Multispectral LED lights, the RGB + IR LED Line Light. Traditionally multispectral line scan inspection applications, such as agriculture (fruit, meat, etc.) inspection, required multiple inspection stations, each with its own camera and unique single wavelength (color) LED light. Multispectral cameras from companies such as Teledye Dalsa and JAI, along with these Metaphase line lights configured with individually controllable RGB & IR LEDs can perform all these inspections at a single station. Compact Diffused Tube Line Lights: Metaphase offers three versions of our compact diffused-tube line lights. 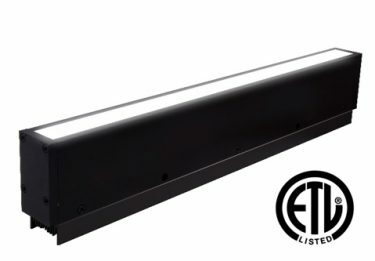 These CDT lights are low profile versions of our diffused tube lights with an aperture designed for line scan applications. This patent-pending dark field line light has never before been offered to the industry. Combining strategically positioned LEDs on innovative dark strips and newly developed light ray forming optics allows discovery of previously overlooked flaws in optically clear glass and plastic. "Bending" light encircles particles and air pockets creating a glow and illuminating the imperfection that can now be seen on a sub-pixel level. Using beam-splitter technology, Metaphase’s Diffused Axial Line Light (DALL) produces co-axial illumination in parallel with the camera aperture. This nonintrusive light provides uniform and extreme intensity for illumination of specular surfaces, reducing glare and hot spots. The DALL can be configured for both wide and narrow fields of view and is the perfect solution to varying height scenarios. 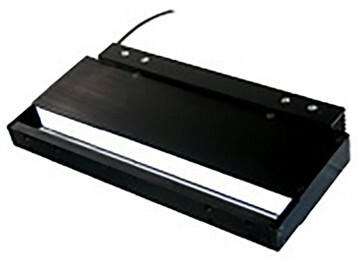 The narrow, structured beam of the Metalight Line Light delivers high intensity and concentrated light for the narrow field of view of a traditional line scan camera. 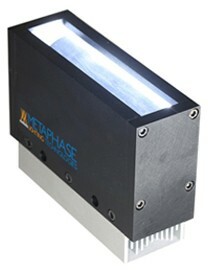 The high intensity and uniformity allows the Metalight Line Light to be used as a front light to inspect for material defects, angled to obtain an off-axis effect to highlight surface defects, or it may be placed beneath the object for a backlight effect to inspect for holes, voids, or contaminants.